As writers, we tend to spend a lot of time designing our heroes and our villains. After all, story turns on tension, and the protagonist and antagonist have to be cool enough to hold reader interest, evenly matched enough to keep the story’s outcome uncertain, and with a deep enough backstory to provide sympathy and the fodder for pulling together a theme. If you have all that, why do you even need other characters? Because they can illuminate other aspects of the two main characters, but not if all you’re using them for is sounding boards and reflectors for affection or loathing. With vivid side characters, you have opportunities to make your story as real and memorable as it deserves to be. Shakespeare was excellent at this, often with very minor characters. Take Dogberry, the comic relief lead Constable in Much Ado About Nothing. He’s funny and over the top and misuses large words. In fact, the Oxford Companion to Shakespeare defines a Dogberryism as, “A comically confused misapplication of long words, as when Dogberry claims to have ‘comprehended two auspicious persons’ (Much Ado About Nothing 3.5.44); later called malapropism.” As a side character, Dogberry's character traits and way of speaking were memorable enough to lead to a new literary term! Of course Dogberry is meant to be a caricature, lampooning the local polices of the day, usually staffed by amateurs, who took a certain number of shifts per year, and would rather NOT run into any criminals. Especially at night. Dogberry's key personality trait is arrogance, and while there is a bit of arrogance in his character design, there’s more to him than that. As leader of his watch group, he feels a sense of pride and importance, even if he has no idea what he is doing. His men are looking to him for answers. This is what leads him to try to use so many large words, to try and SOUND like he knows what he’s talking about. Also consider that he’s interacting with the main characters, who exist at a level of society where they are using the type of speech Dogberry wishes he had command of. Note here that Leonato (a man of MUCH higher station than Dogberry) has just used the word tedious because Dogberry has been taking too long to explain why the constables are bothering him when he has made it clear he is too busy to take note of them. LEONATO: Neighbours, you are tedious. DOGBERRY: It pleases your worship to say so, but we are the poor duke's officers; but truly, for mine own part, if I were as tedious as a king, I could find it in my heart to bestow it all of your worship. LEONATO: All thy tediousness on me, ah? DOGBERRY: Yea, an 'twere a thousand pound more than 'tis; for I hear as good exclamation on your worship as of any man in the city; and though I be but a poor man, I am glad to hear it. This exchange grounds Dogberry. I can put myself in his place, trying to make myself understood to someone who intimidates me by their affluence and influence, latching on to what felt like a compliment, not realizing it was an insult. And that kind of reality makes Dogberry an enduring character. Not only that – Shakespeare doesn’t just use this guy for window dressing, or for a cheap laugh at the expense of the police. Despite all his bumbling, Dogberry and his men succeed in capturing the man responsible for the worst misdeeds in the main plot. In other words, Shakespeare gives Dogberry agency and a key role in solving the plot problem. Give them a backstory. Their history doesn’t necessarily have to make it into print, but it should inform the character on the page. A modern example that has always intrigued me is in the original Jurassic Park film, when Hammond (rich owner of the park) tells Nedry (the computer programmer who is about to betray them all), “I don't blame people for their mistakes. But I do ask that they pay for them.” That one line implies a relationship between these two far beyond anything overtly stated in the screenplay, and that vague insinuation has left Nedry with enough believable resentment that we can, as an audience, believe his actions when his betrayal puts lives at risk. And all these years later, I still want to know – what mistakes? Give them agency. This means the ability to make decisions that will affect the plot. 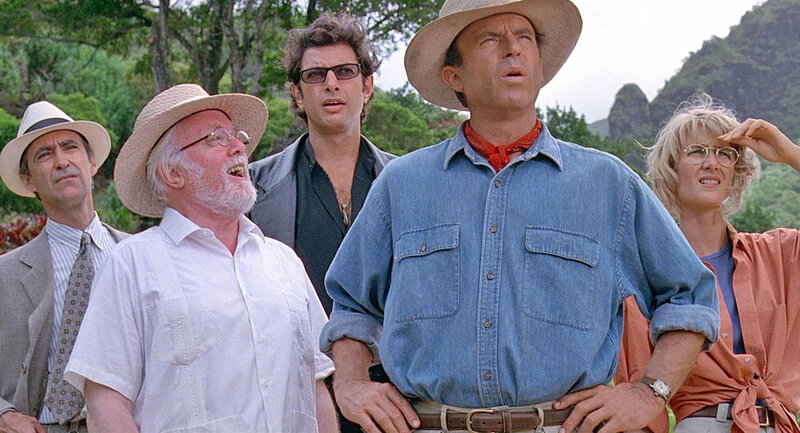 In the first Jurassic Park, everyone had their own agenda regarding the park: the accountant wanting to exploit this new resource, the paleontologist wanting to study it, the entertainer wanting to impress everyone with it, the mathematician who just wanted everyone to take a step back and think about it. These rich characters and their individual wants elevate the film from being just another popcorn monster flick. Give them a purpose for being in the story. It is easy to accumulate a ton of side characters you don’t really need and give them scenes JUST for comic relief. Or, to allow the main character to reflect on what she’s going to do next. Even the kids in Jurassic Park are important to the protagonist’s character growth – and they actively problem solve throughout the film. Give them a distinctive personality. In cartooning, there’s this idea that the entire cast of main characters should be recognizable to the viewer, even in silhouette (called the silhouette test). Different height, fashion style, hair type, body shape, etc. can help the viewer keep these characters separate in their minds. Writers do the same thing by defining the way characters think and speak. Look at each character in Jurassic Park. You’d never mistake one of them for the other. When someone gets hurt, you don’t find yourself asking, “Who was that again?” the way you would with a lot of giant-monster films. I love talking about characters and could do so for several hours. In fact, if you want to learn more about creating memorable love interests, sidekicks, mentors and henchmen, I’ll be doing a seminar on Creating Vivid Side Characters on Sunday, August 26 from 3:00PM - 6:00PM. I would love to see you there! You can check out the Seminars Page for more info or register directly via the button below. Thanks for reading!